Following an unusually warm Hallowe’en, the temperature dropped below freezing. That low pressure system was accompanied by heavy clouds and snow flew for the first and second days of November in southern Alberta. On Sunday, I left Bragg Creek early in the morning with the snow still falling fast. By the time I was in Banff, the cloud ceiling was much higher and the snow falling much softer. Before noon, the sun was out and the winter wonderland was starting to melt away quickly at the lower elevations. I went down to the Vermilion Lakes to see how things looked and check if any of the wild residents were wandering about. I didn’t find much wildlife, but the landscape looking beautiful with the shoreline’s snow gone but the belt of white starting only twenty or so metres above. When the long chain of freight cars riding the rails on the far side of the second lake came into view I stopped to take a few photographs. This entry was posted on November 3, 2014 by Christopher Martin. 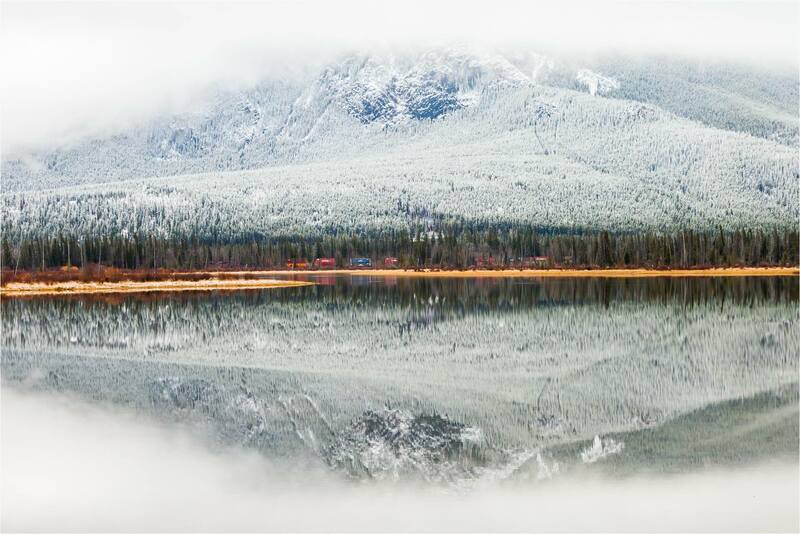 It was filed under Banff National Park, Landscapes, Winter and was tagged with alberta, Banff National Park, Canada, first snow, landscape photography, mirror image, reflection, Sulphur Mountain, train, Vermilion Lakes, winter. Oh wow…. that first picture is spectacular! Stunning pictures. 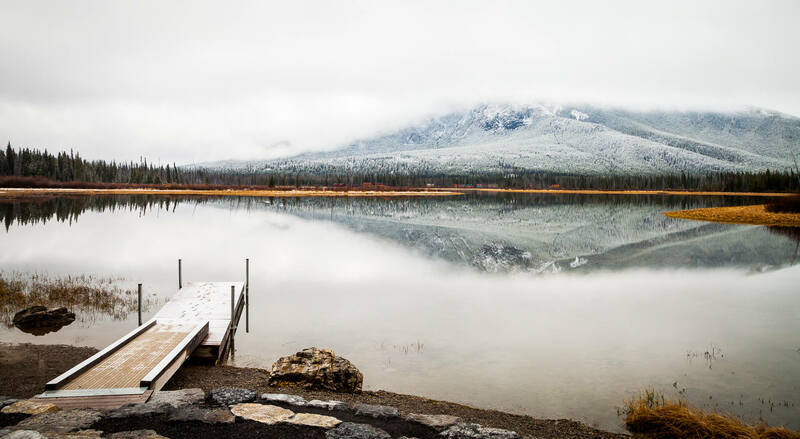 Totally different view of Vermillion lake.